Classroom Salon, a social networking application developed by researchers at Carnegie Mellon University, engages students in online learning communities and effectively taps the collective intelligence of groups. Thousands of high school and university students used Classroom Salon this past academic year to share their ideas about texts, news articles, and other reading materials. They also used it to critique each others’ writings. 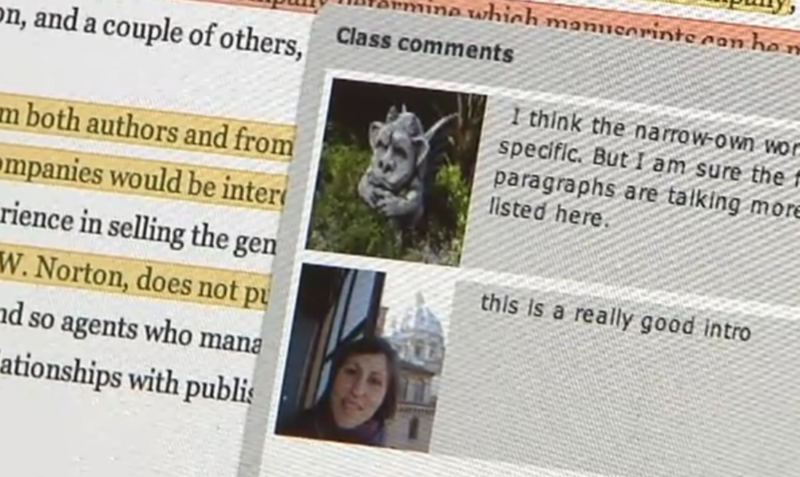 Class members read assigned texts and then annotated them with online editing tools. Their observations were then shared with the group using Classroom Salon’s novel interactive tools, which highlight “hot spots” to spark discussion within a document, cluster similar comments, and identify which comments are most influential. Classroom Salon will be used in an innovative experiment at the University of Baltimore, an urban, open-admission institution where about half of the incoming students fail to graduate within eight years. Many are first-generation college students who attend part-time, come from low-income families, and require remedial math and writing courses. This educational experiment is being designed to see if Classroom Salon can help students who are in danger of failing introductory courses or otherwise dropping out of college.